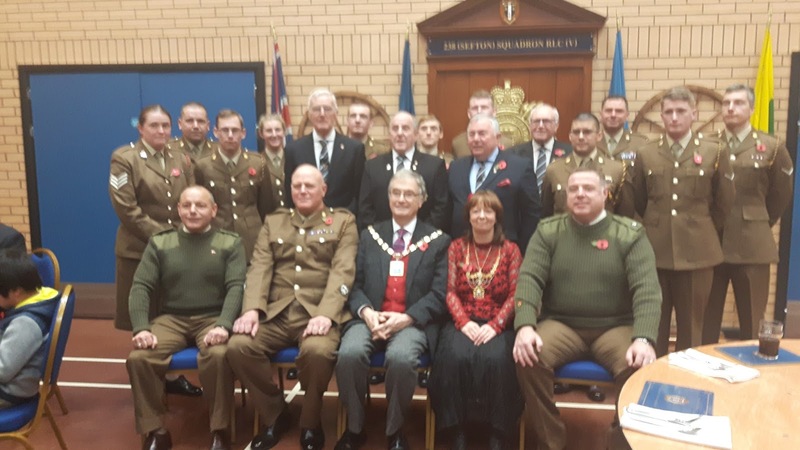 After calling into the Comrades Club in Crosby after the Act of Remembrance at Southport Cenotaph I went to have a Curry Lunch with the Army Reservists. 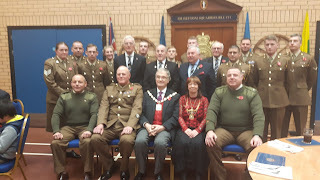 This event was held at the Private R G Masters VC Barracks. 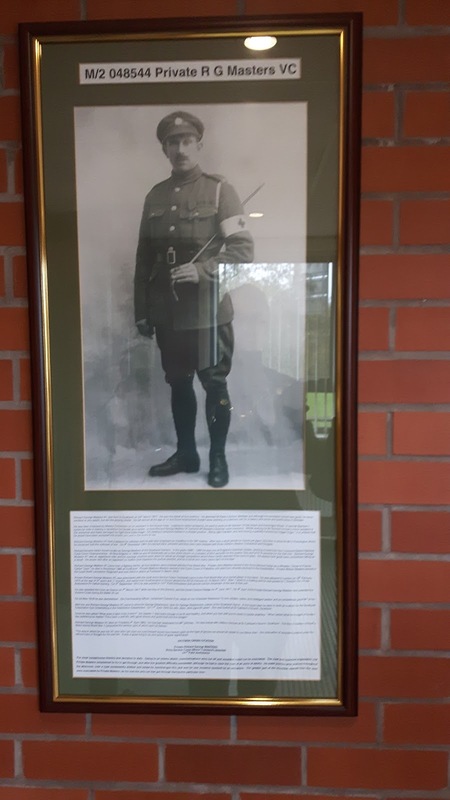 Pte Masters was a Southport lad who won the VC in WW1. First up I should say that both the curry and the company was excellent. It was only a fleeting visit but I was pleased that we had agreed to do it. Increasingly our defence capability relies on reservists and it is important we recognise their contribution. I was impressed by the calibre of the people I met. I was introduced to two engineers whose day jobs were at Bentley in Crewe and at Jaguar Land Rover in Solihull. Their dedication to their army was impressive.